Timberline Four Season Resort is an old West Virginia favorite. The ski area provides skiers and snowboarders a peak elevation of 4,268 feet, 200 inches of average annual snowfall and a vertical drop of 100 feet. Three lifts service 37 runs spread out over 100 acres of skiable terrain. 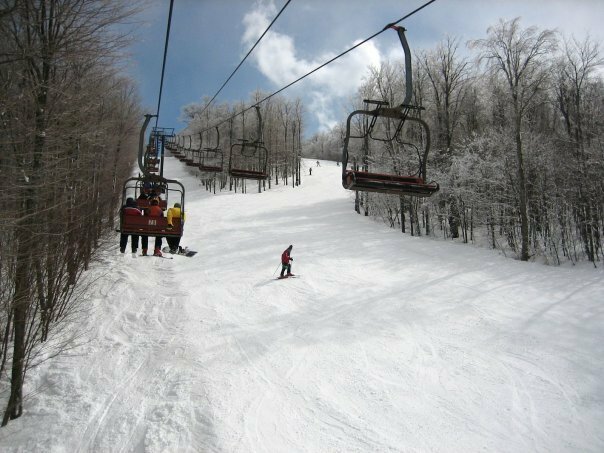 The resort offers guest the option of staying in their slopeside hotel and great dining in the Timberhaus Cafeteria and Timbers Pub & Fireside Grill. Private airport nearby. Restaurants, cafes, pubs, rental shop, ski shops, convenience stores, and a grocery store. Ski and snowboard school, racing programs, and NASTAR.